Network Bulls, Started in 2009 has completed 9 glorious years of training excellence in the Cisco Training industry. In this short span, NB has been honored with more than 15 awards for its continuous best placement record in the Networking industry in India and for producing CCIEs at over 90% first attempt success rate. Network Bulls has been providing training to Indian as well as International students of highest standards and making them ready for real life challenges. Technology keeps on upgrading with time and we understand the importance of training on latest technology. Thus, Network Bulls keep upgrading its Cisco training lab with latest devices time to time. The devices are upgraded as per Cisco’s guidelines. Labs at Network Bulls are well – equipped with latest Routers and Switches, Cisco ASA 5510/5512x/5515x series Firewalls, IP Phones, IPS, Video Phones, Iron Port, MCS, ISE servers etc. In addition to latest Cisco devices, there are projectors, wireless rack access, wireless internet connectivity and a lot more to make your learning fruitful. Practical training is of immense importance for polishing skills and becoming job ready. Thus, labs at Network Bulls are open 24x7 for helping students to polish their Networking skills and gaining excellence. Students can access Cisco devices at NB lab any hour of the day and sit for long hours practicing on live racks. In addition, real-time instructor support is also provided to students for better understanding and clearing doubts, if any. Classrooms at NB are fully equipped with Projectors, Digital Pens, Air Conditioners, live racks, and everything required for world class training. Each classroom at NB is spacious and well-ventilated promoting an uninterrupted form of learning. Our classrooms have everything required for a focused and peaceful learning allowing students to understand the topics taught, completely. Well-equipped classrooms make trainers more effective and learning speed is increased manifold. Network Bulls understands the importance of industrial exposure, for which real devices and racks have been placed in each of our classrooms. The basic purpose behind this has been the knowledge given to students about how the devices in real scenarios, operate. We promote live practical training and discourage using software like GNS3 for practical scenarios as we believe in 100% practical training on real devices. We are known for our Innovative Training Methodologies. Our training model is designed to make you learn each technology practically. As our classrooms are fully equipped with latest Cisco devices, which makes it very easy for you to understand each and every technology practically then and there. After completion of the theory class, you are taken to the labs where you practice all concepts covered during lectures. You will have dedicated lab instructors available to help you out in labs. You also get the practical workbooks as well as assignments to perform multiple practical for each technology. Our training teams observe your practical implementations and provide ratings based on performance. We follow rating & review model for entire training to make sure you attain skills and knowledge perfectly. The intensive training model has specially been designed and launched for fresher students. Under this training model candidates will spend 9 hours per day at our institute, attending rigorous theoretical, practical and personality grooming sessions. Out of the 9 mandatory hours student spends at our institute, complete 8 hours will be devoted in proper learning of the course including overall personality development. Daily classes will commence with 2-3 hours of theoretical where trainer will demonstrate the actual working of the concepts with help devices installed in classrooms, implementing it on real devices for technology exposure of the course. After completion of theoretical classes, 3 hours of mandatory practical classes will take place where the candidates will practice and complete a set of assignments. Lab assistants will be present throughout to help them with their practical implementation of the tasks given, clearing all the doubts so that under no circumstances candidates leave the lab premises without completing the practical scenarios given. At Network Bulls, we believe transformation of a student so that he becomes employable for IT MNCs. In that effort personality of a candidate plays a key role and our team focuses a lot on that side. Special personality development sessions, spoken English classes, resume writing classes, group discussion sessions, industrial exposure sessions and a lot more is organized for our students on regular basis apart from the normal course classes. Individual attention is given to each and every student with regular feedback sessions on areas of improvement. Mock interview sessions are also conducted as a part of Personality development Classes. Mock interview sessions give an insight into the probable technical questions, general HR questions, interview etiquettes, salary negotiation skills and a lot more. These sessions help you to handle interview pressure with ease and crack the interview of top IT companies with confidence. Learning environment of any training institute plays a key role in a student’s success and Network Bulls has one of the best Cisco learning infrastructures in India. At NB you find inspiration to succeed everywhere, students from different countries study together to chase their CCIE, placement, job promotions dreams under one roof. There are seniors and CCIE’s around to guide you and help you in your studies always. Network Bulls provides facilities of separate Silent and Discussion zone labs to its students. Silent Zone helps students to concentrate on their course inculcating a habit of self-learning/studying whereas Discussion Zone allows them to polish their presentation and group discussion skills, boost self-confidence and clear their doubts directly from our CCIE certified trainers. Both the areas are equipped with wireless Cisco rack access for better understanding of the practical concepts. At Network Bulls regular technical interview sessions are organized with Mr. Vikas Kumar (3Xccie #30078), he is Triple CCIE Certified and has 15 years of vast experience to his credit. Regular interview sessions with him make students familiar with the interview scenario and help immensely in job placement or any type of Interviews. His knowledge, feedback and guidance have shown great results in last few years; on top of that these sessions are included in your course fee. So no extra charges! At Network Bulls, lab instructors are available for helping you in completing your practical training at Labs. You have a dedicated lab instructor for every track whether you are doing CCNA, CCNP or CCIE. You can connect with lab instructor in case you are stuck at any stage in your practical task or face any sort of technical issue. Lab instructors ensure that you have a great practical learning experience while accessing the labs. We make sure that our students learn and master real world scenarios, with this facility, students can clear their doubts on run time. Another biggest reason of Network Bulls’ students’ success in CCIE exams and placements; Qualified mentors are very much necessary for proper guidance and quality training. Trainers at Network Bulls are CCIE certified with experience of 5 to 15 years in the field of networking. The technical team at Network Bulls is amongst the top five technical team of the world. In addition to our trainers; our lab instructors are also CCIE certified and experienced. Network Bulls provides practical workbooks with complete problem & solution scenarios for each of the Cisco certification available i.e. 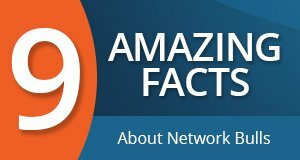 CCNA, CCNP or CCIE. Our course content is designed and structured by none other than Mr. Vikas Kumar (3XCCIE, #30078, MD Network Bulls). Workbooks include Technical methodologies which are adapted for better exposure of the real industrial scenario and teaching. We emphasize on imparting both theoretical and practical knowledge as real industrial knowledge is what companies seek for in certified professionals of networking industry. Before taking students to the next level of training, assessments and screening are done for ensuring that they are ready for the next level of training. We make your growth path and help you to achieve the same. After each concept’s theoretical class practical assignments are given by trainers to make sure you understand the same concept in depth. He shares his rating and feedback too after each practical assignment. Screening at every level makes you more focused towards your goal. The rating system is followed for assessing students and every student need to pass the assessments conducted.  Our aim is to make each Network Bulls student skillful and ready for the networking industry. Our training programs transform a student’s career completely as our teams work on knowledge, skill and personality, all 3 aspects. We focus on 100% practical training, 360 degree personality development in order to make you can expert and a perfect candidate for big IT MNCs. The industry accepts skilled network engineer with open arms and we aim at making you an expert.